We've got some fun things happening down at Laramie's Basecamp over the next few weeks so make sure to stop in check them out... along with all the fresh new merchandise we're expecting in April!! Remember when we hosted a rad gear swap in September that supported the Pilot Hill Project? We will be hosting another swap on Saturday, April 6th from 10 am - 2 pm. This is the perfect time to clean the dust off all your gear, sell it for $$, and see what treasures your neighbors are looking to part with. * Drop off any gently used outdoor clothing or gear you'd like to sell on Friday 4/5/19 between 5 & 7pm or Saturday 4/6/19 between 8 & 10 am. * When you drop off your items we'll ask you to sign a consignment release form and pay a consignment fee of $0.25 per item. This fee will go to support the Pilot Hill Project. * Basecamp staff will keep track of your consignment items and try to sell them for you. * Stop by Basecamp on Sunday 4/7/19 between noon & 4 pm to pick up your profits and any unsold items. * If your items and profits aren't claimed by Sunday at 4 pm they'll be donated to charity. *All sales and transactions will be done in cash. Please bring enough cash to buy your gear, Basecamp will not be able to make change from our cash drawer. *All drop off and pick up sellers will be required to sign a consigners agreement form and pay the $0.25 consignment fee/item. * Gear cannot be held for a later payment. * All sales transactions are final. * All consignment clothing and gear must be kept until sold in our designated consignment area. Your skis and boards crushed it this season! Snowy Range Ski Resort will be closing Sunday, April 7th. If you plan on moving right into your Spring sports and storing away your powder gear make sure you bring them in to get freshly waxed before you store them for the summer. 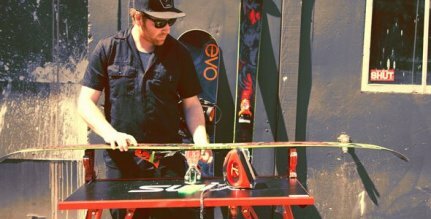 If waxed properly before summer storage, your skis and boards will thank you come next season. Waxing prevents the bases from drying out, rust from building up, and is a good habit to get into if you want your gear to last. Our shop prices can be found on our website, here. Summer waxing for Nordic skis begins at $15 and for Alpine skis and boards $25. This is also a good time to get any core shots or damage that occurred during the 2018-2019 season fixed. Prices for in-depth repair will vary on the severity of the required services. *also note that all Basecamp Ski Rentals are due back May 31st. Any outstanding rentals will be charged $5 per day they are late. Have a First Aid kit in the house? Lost your kit on a paddle trip? Think you saw a kit in the trunk of your car? Live on the wild side and don't have a First Aid kit? 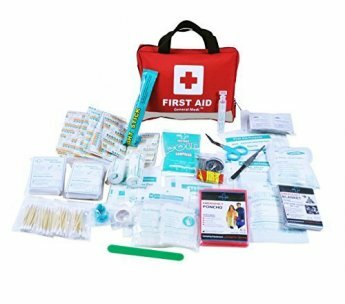 We are hosting a First Aid Kit Night in hopes that everyone stays safe and travels prepared! 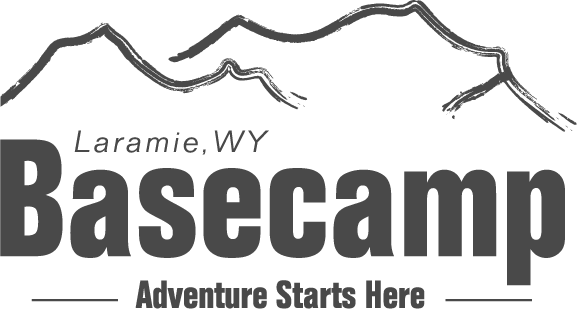 Join us at Laramie's Basecamp on Saturday, April 20th from 5-7 pm. As hiking, biking, climbing, camping, rafting, and poisonous insect season are upon us come see what essential items your kit is missing and we'll help you restock. Or, talk to a knowledgable staff member and we will help you design a kit that is right for you and your adventures. Once you've found your favorite backpack or rain layer, it is hard to part with it when it finally busts a buckle or zipper...but what if you didn't have to? Join us from 1 to 5 pm on Saturday, April 27th to see if our staff can help mend your gear. We are not magicians but we will do our absolute best to see that you and your gear walk out our doors ready for your next adventure. We'll have sewing machines, repair tape, buckles, straps and everything to fix gear. 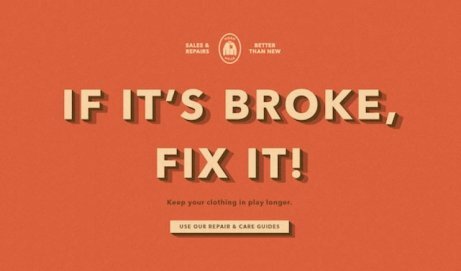 Simply stop on by with your broken gear and we'll help breath some new life into it. Let's work together to keep gently used or repairable gear out of our landfills...reduce, reuse, recycle, repair!!! We look forward to seeing you next month. Be aware we are reducing our store hours during the month of April-- we will be closed Monday's and our weekday hours will be from 10 am to 6 pm. Any questions give us a call!